Getty images / Stok-Yard Studio. This simple, melt-in-your-mouth pound cake comes together really easily and it's beautiful when finished. You can drizzle a simple syrup (like the one used in this recipe) over top of your finished loaf, dust it with powdered sugar, or just serve as is with a cup of tea. NOTE: Making sure that your ingredients are at room temperature is an important step when baking with coconut oil. For best results, set your eggs and other ingredients out 30 minutes before beginning your loaf! Grease two 9x5-inch loaf pans with dairy-free soy margarine or coconut oil. Set aside. In a large mixing bowl, using a standing mixer or an electric hand mixer beat the melted coconut oil with the sugar until the sugar has dissolved slightly. Add the eggs, one at a time, the egg yolk, and then the lemon zest. Mix until just combined. In another bowl, combine the flour, baking powder, baking soda, and sea salt. In another small bowl or cup, whisk together the fresh lemon juice, dairy-free sour cream, and vanilla extract. Add the flour mixture and the lemon juice-sour cream mixture to the egg mixture in 2 to 3 additions, alternating and beginning and ending with the flour mixture. Pour the batter into the prepared pans and bake for about 50 minutes to an hour, or until a toothpick inserted into the center of the poundcake emerges clean. Allow cakes to cool for a few minutes in the pans, then transfer to a wire cooling rack to cool completely. Meanwhile, make the lemon drizzle. In a small saucepan over low heat, combine the lemon juice and sugar and cook, stirring constantly, until the sugar dissolves and the mixture become slightly syrupy. 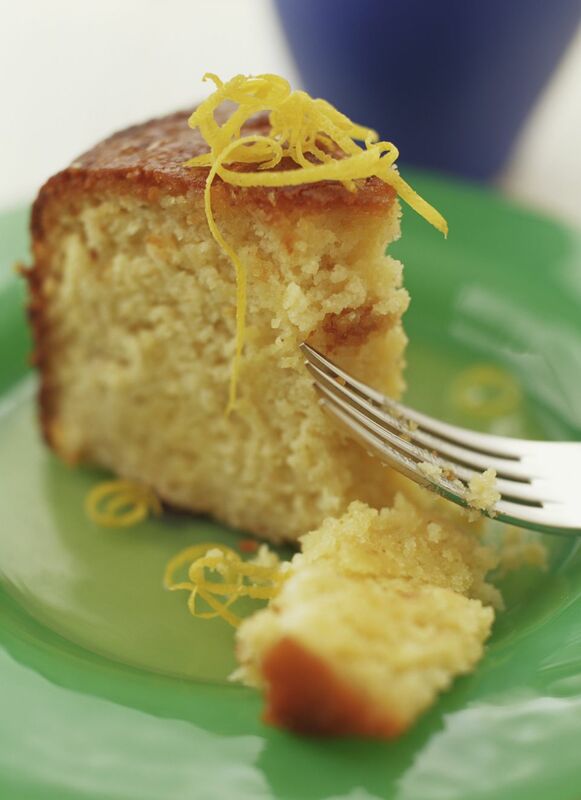 After the cakes have been transferred to the wire cooling racks, use a spoon to drizzle the lemon syrup over each of the cakes. Allow the cakes to cool completely and serve warm, at room temperature, or cold.